Sometimes I get frustrated with myself because I can’t complete everything I want to in a given day. 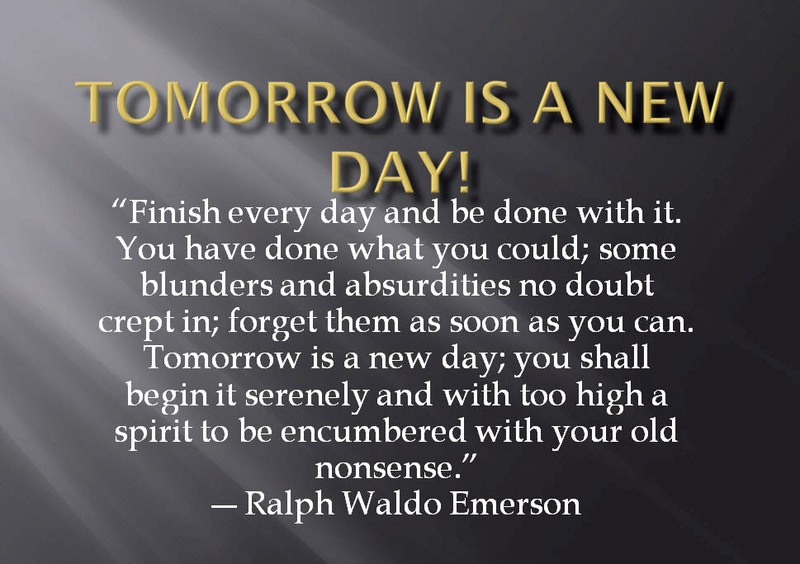 So I really like this quote because it gives me a gentle reminder (or excuse depending on the day), that tomorrow is truly a new beginning. This entry was posted in Photography and tagged arts culture, Photography, Quotes, thoughts, wisdom. Bookmark the permalink. Thanks for finally talking about >Mid Week Wisdom | michaeldthomasphotography <Liked it!